Funding fix and flip projects is the most common use of funds, can also be used to build new properties or purchase and hold. Most commonly used to purchase residential properties but can be used for commercial real estate. Timing constraints and lost opportunity: Traditional bank loans usually take 30+ days to complete. For most real estate investors this means lost opportunity. Waiting 30 days for your money usually means a competitor with the cash will swoop in and ‘steal’ your deal. Income evaluation: Proof of income is a requirement for traditional lenders. For many real estate investors who are often self-employed, or commission based, this requirement often disqualifies them for bank loans. Project value vs. property value: A common measurement tool for banks is loan to value ratio. Since investors need to consider both purchase price and improvement price, the bank requirement can be difficult to meet. 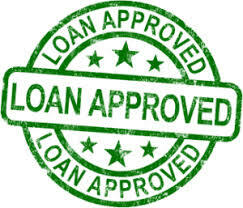 Private money lenders focus on the property value since the loan is secured by the property. This simplifies the requirement. Condition of the property: Many traditional lenders (FHA) require the property to be in move-in ready condition. Since the nature of most real estate investor projects is fix and flip, this requirement is difficult to meet. Hard money lenders understand the nature of the project and that move-in ready will be the result, after improvements are made. Credit score: A strong credit score is required by all traditional institutes for any loan consideration. Private money lenders look at credit score as one of many factors but are most interested in the property value. Like just about anything these days, there are a lot of options when it comes to private money loans and it worth doing your homework before selecting your lender.